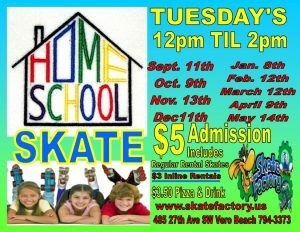 Skate Factory invites you to join us and other home schooled families. We have set aside the second Tuesday of every month from 12 pm – 2 pm for our home school community. 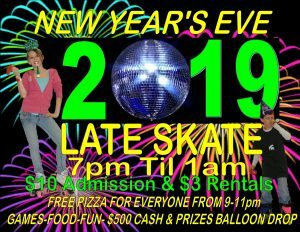 Skate Factory’s New Year’s Eve Late Skate is the place to be. Over $500.00 in cash and prizes to be given away in our balloon drop. We will have count down at 12:00 along with hats and horns. 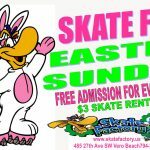 This is a Skate Event the kids don’t want to miss. Free pizza for everyone from 9 pm – 11 pm. 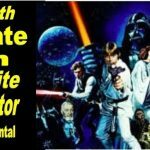 Tuesday December 31st from 7:00 pm – 1:00 am! Monday though Friday 12 pm – 5 pm $8.00 or 2 pm – 5 pm $5.50! 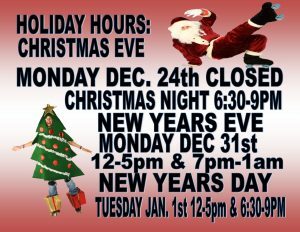 Christmas Night 6:30 pm – 9 pm! 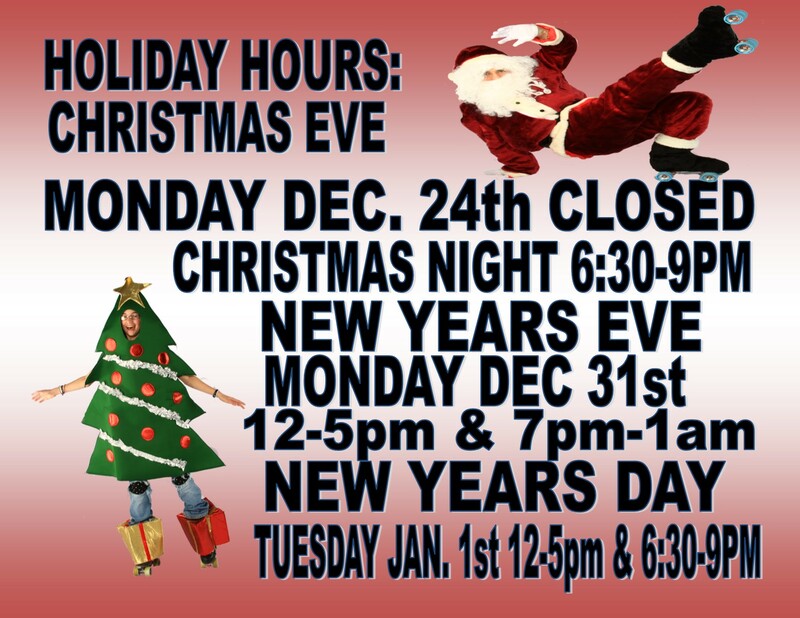 New Years Eve 12 pm – 5 pm, and 7 pm – 1 am! New Years Day 12 pm – 5 pm! 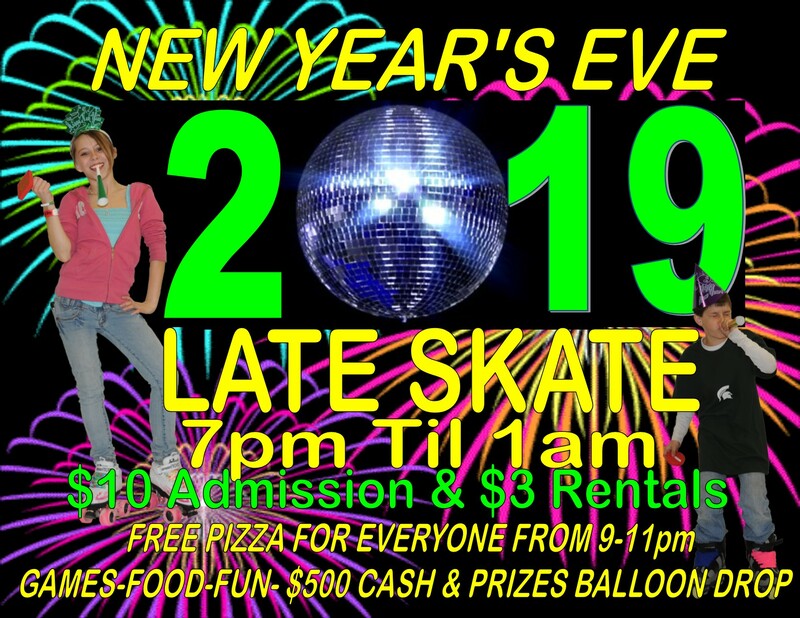 New Years Night 6:30 pm – 9 pm! Bring the kids to skate and celebrate Halloween! 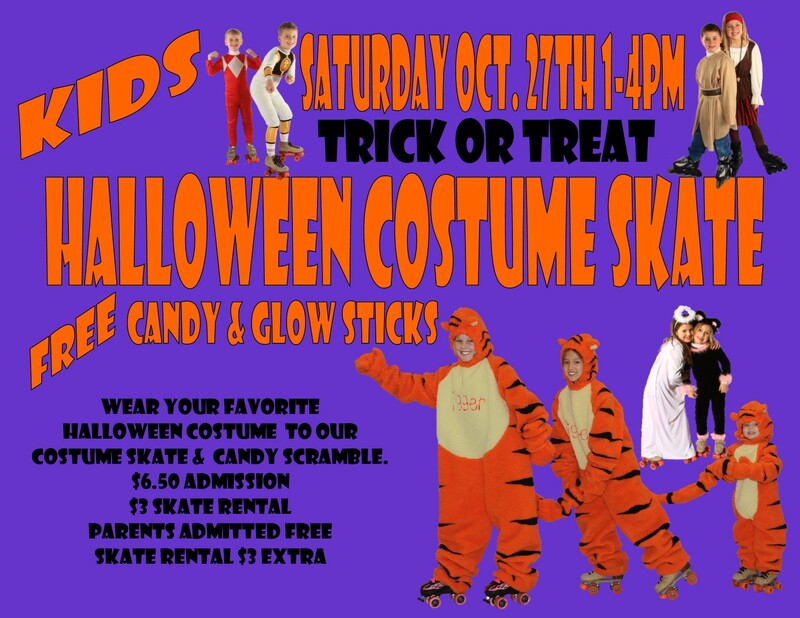 Saturday October 27th from 1 pm – 4 pm. 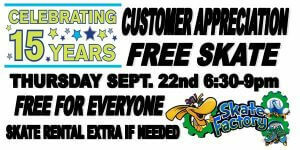 Skate Rental $3.00 if needed! Skate Factory has a great camp program. Our camp is open for all summer, winter, and spring breaks! We also have camp on all teacher work days, in both Indian River and St. Lucie Counties. We take pride in our camp. Every one of our staff are given a fingerprint and background check. Your child’s safety is our number one concern. 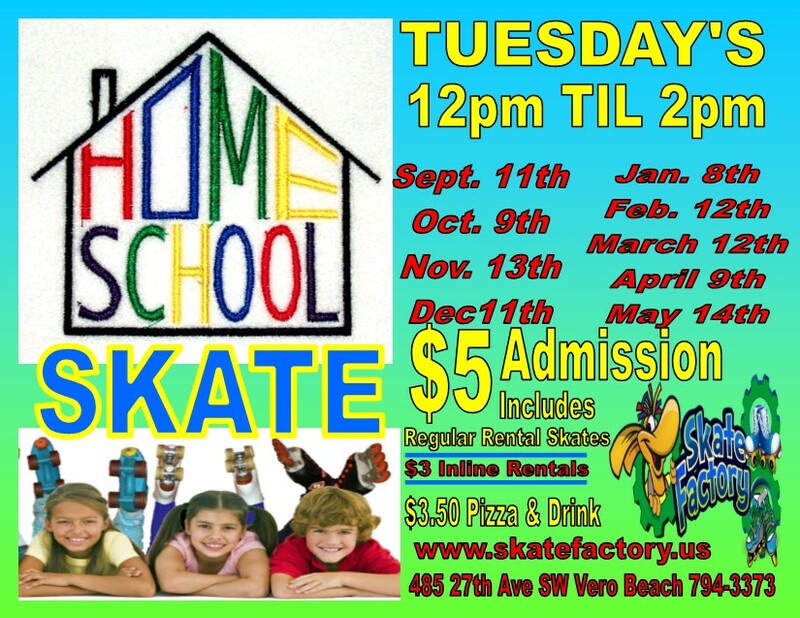 Skate Factory Camp is open to all children ages 6-12 years. Camp hours are 7:30am -5:30pm. The cost is $105.00 for the week or $25.00 per day. We require a registration form for each camper. The $15.00 fee includes a camp tee shirt for your child. To make your child’s time at camp an enjoyable one, we have a few suggestions preparing them for camp. Every camper must come to camp with shoes on their feet. Socks are a must, the longer sports socks work the best. Socks that do not cover the ankle, are most likely to cause blisters. Skate bags or back packs are highly recommended, for keeping all your child’s belongings together in a safe place. Change of clothes is also recommended, as we have had many times drinks have spilled on clothes, pants have ripped, etc. We highly recommended that if you are going to give you child extra spending money, to put it on a skate card. We program your child’s name in the card and it is kept at the concession counter. Skate cards are good for food, tokens, and stuff shop. This eliminates kids loosing their money. Skate Camp has field trips during the summer camp only. We go to the Majestic movie theater, as well as, the Vero Bowling alley. These trip are at no extra charge to the parents. 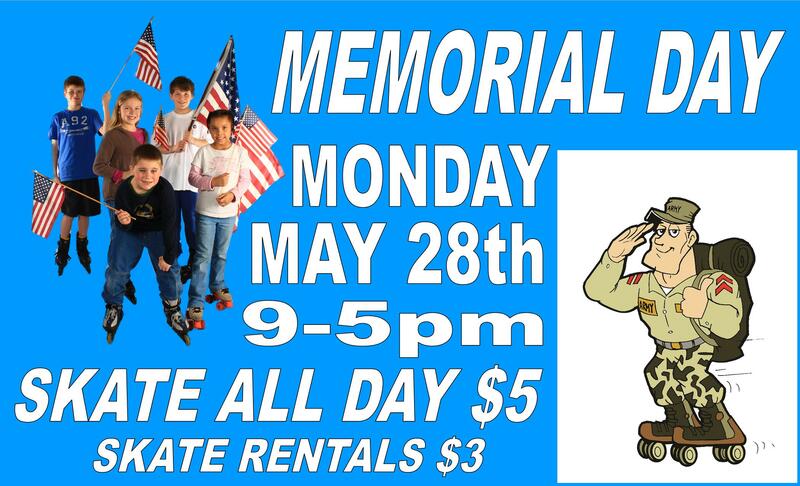 Come and skate Memorial Day! 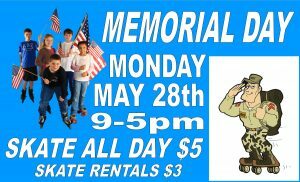 Monday May 28th from 9am – 5 pm! 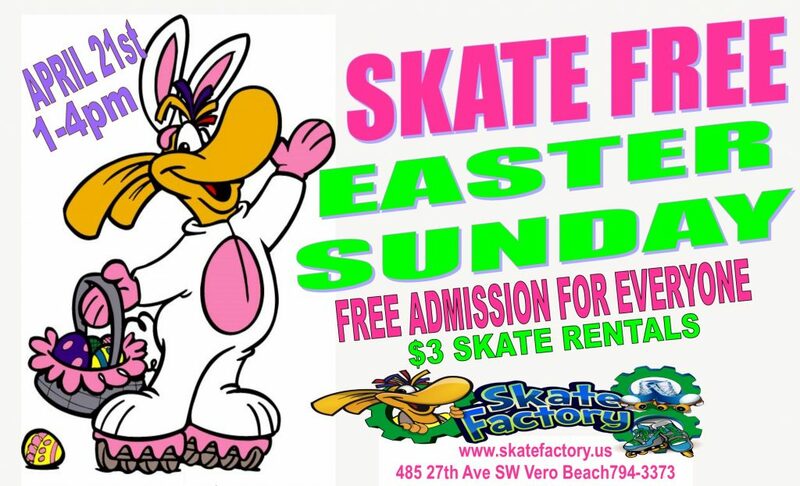 Admission is just $5.00, skate rental $3.00 extra. 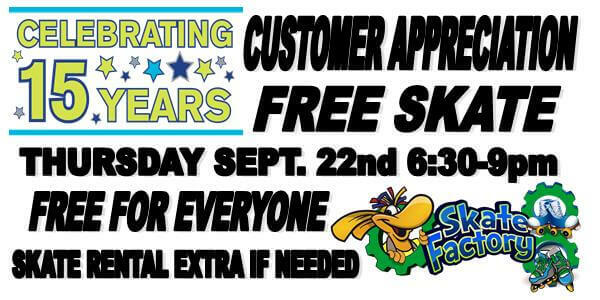 Skate Factory is open for Summer Break! 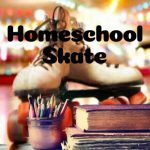 We have skating fun for everyone! from 6:30 pm – 9:00 pm!